Diego Perugini and the staff at the Universita degli Studi di Perugia are gratefully acknowledged for organizing the 6th International Conference on Fractals and Dynamic systems in Geosciences. Ian Merrick assisted with programming in C++. The journal reviewers, especially David Sanderson, are thanked for excellent comments, as is the Volume editor Jörn Kruhl. Arias, M., Gumiel, P., Sanderson, D.J., and Martin-Izard, A. (2011), A multifractal simulation model for the distribution of VMS deposits in the Spanish segment of the Iberian Pyrite Belt, Comp. 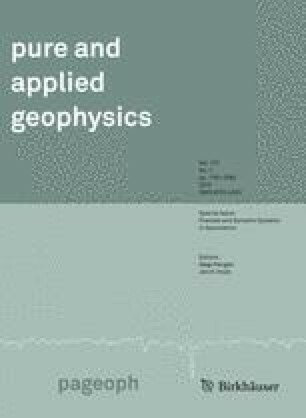 & Geosciences, 37, 1917–1927, doi: 10.1016/j.cageo.2011.07.012. Carranza, E.J.M. (2010), From Predictive Mapping of Mineral Prospectivity to Quantitative Estimation of Number of Undiscovered Prospects, Resource Geology 61. 30–51. doi: 10.1111/j.1751-3928.2010.00146.x. Eagar, K.C., Fouch, M.J., James, D.E. and Carlson, R.W. (2011), Crustal structure beneath the High Lava Plains of eastern Oregon and surrounding regions from receiver function analysis, J. Geophys. Res., 116, B02313, doi: 10.1029/2010JB007795. Liao, J.Y.H. Selomulya, C., Bushell, G., Bickert, G., and Amal, R. (2005), On different approaches to estimate the mass fractal dimension of coal aggregates, Part. Part. Syst. Charact. 22, 299–309. doi: 10.1002/ppsc.200500978. Nelson, K.D. (1992), Are crustal thickness variations in old mountain belts like the Appalachians a consequence of lithospheric delamination? Geology, 20, 498–502. doi: 10.1130/0091-7613(1992)020<0498:ACTVIO>2.3.CO;2. Nguuri, T. K., Gore, J., James, D. E., Webb, S. J., Wright, C., Zengeni, T. G., Gwavava, O., and Snoke, J. A. (2000), Crustal structure beneath southern Africa and its implications for the formation and evolution of the Kaapvaal and Zimbabwe cratons, Geophys. Res. Letters, 28, 2501–2504. doi: 10.1029/2000GL012587. Priest, G.R. (1990), Volcanic and tectonic evolution of the Cascade Volcanic Arc, central Oregon, J. Geophys. Res., 95(B12), 19583–19599, doi: 10.1029/JB095iB12p19583.